Set on a hill overlooking the homonymous gulf, according to the legend Carimi was founded by Daedalus who called it Hyccara, in memory of his son Icarus. It was destroyed by the Athenians in 415 b.C. and subsequently conquered by the Phoenicians, the Romans, the Arabs and the Normans. 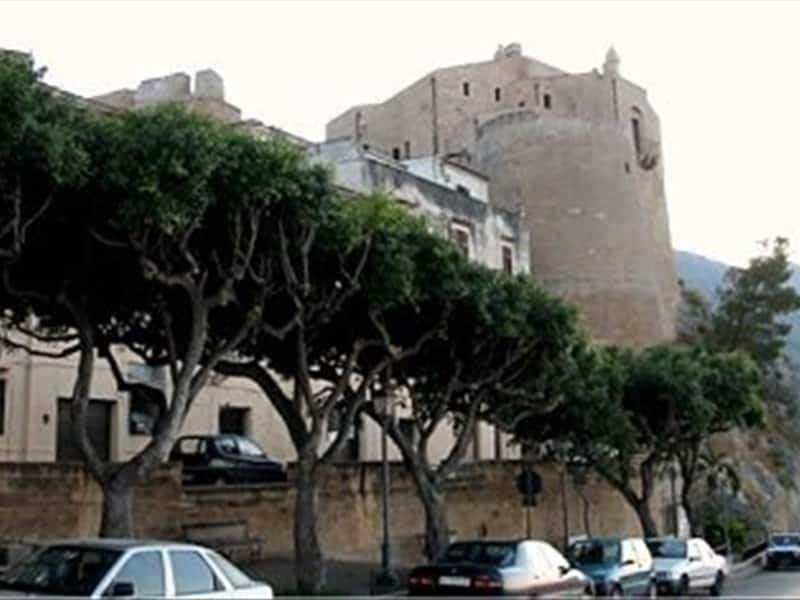 Then it became a feud of the Chiaramonte family, of Moncada family and finalyy of the La Grua-Talamanca family. The built-up area is dominated by the castle, an ancient Norman fortress, renowned during the following centuries. It was the setting of a tragic episode involving the Baronessa di Carini, killed by his father in 1563. On the ground floor is the Salone delle Derrate (Victuals Hall), later converted into a library, with two fine 1400's stone arches supported by a solid pilaster. On the upper floor, the Salone delle Feste has a fine 1400's coffered wooden ceiling with typical Catalan-Gothic decorations. The square tower beyond is graced by a two-light window and topped by decorated corbels. Among the religious monuments, we have to mention the Cathedral of Madonna Assunta, totally refurbished in the XVIII century, with a precious painting by Alessandro Allori (1578), the Oratory of Santissimo Sacramento, beside the Cathedral and realised during the XVI century, with a valuable stuccoworks decoration, the Church of Santa Maria degli Angeli, once belonging to the Cappuccini Convent, and the XIV century Church of San Vito. This town web page has been visited 19,994 times.